Fisher Grade School held its 6th annual food drive for the Fisher Area Food Pantry during the week of March 11th - March 15th. Students were asked to donate items such as: paper towels, shampoo/conditioner, peanut butter, jelly, pasta, etc. The class that donated the most items won an Ice Cream Sundae Party! 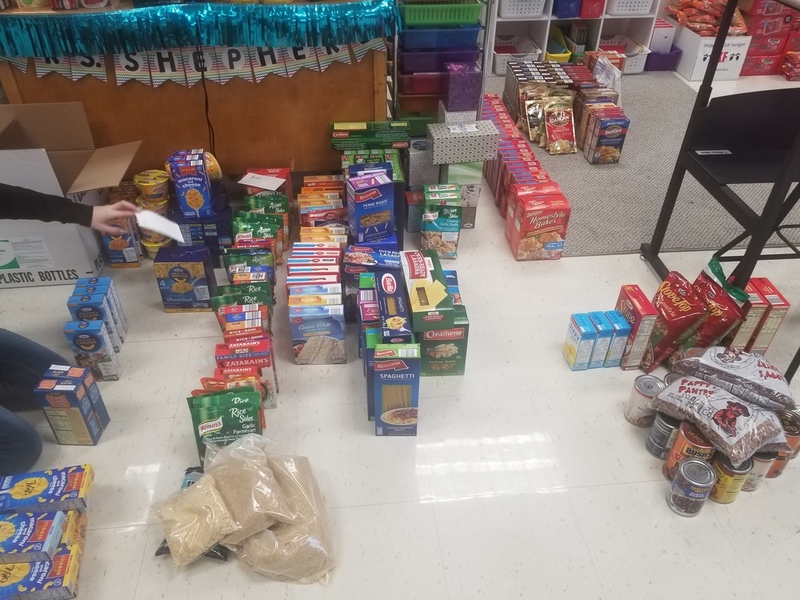 The food drive was organized by Mrs. Shepherd, Title I Math, and Mrs. Morgan, Title I Reading. They couldn’t have counted and organized everything without the help of sixth grade Title 1 Reading and Math students. Teachers at Fisher Grade School helped remind their students everyday to bring in items. Each afternoon, sixth grade students collected boxes of donated items from each classroom. These items were organized and counted per classroom. Mrs. Shepherd kept count everyday of how many items were donated by each classroom. It was a race to the finish line!